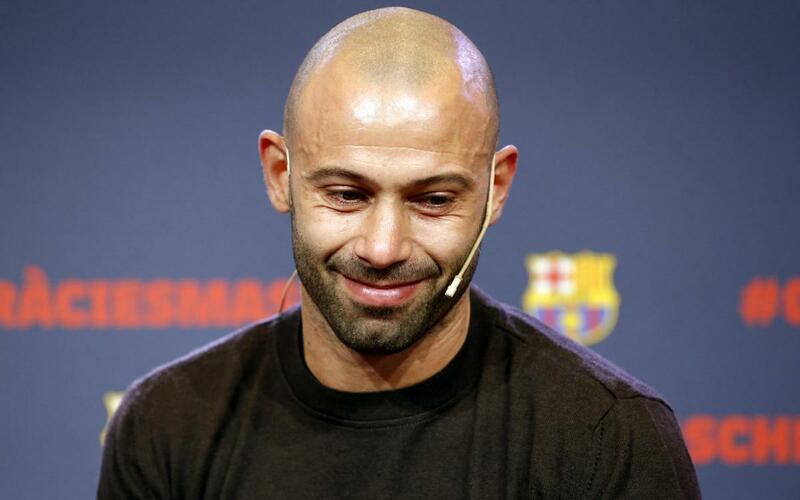 Struggling to hold back the tears, Javier Mascherano — the fearless Argentinian defender who came to Barça in 2010 in search of a dream that he has long since fulfilled — opened up his heart and spoke the words of a wise, battle-hardened leader. “If anyone has been fortunate, it has been me,” he said, moments after being shown a video in which his Barça teammates, one by one, gave him their thanks and described, in personal detail, the litany of positive traits, values, and characteristics that made Mascherano so revered in the locker room. Club President Josep Maria Bartomeu sat quietly beside the 33-year-old player whose diminutive nickname is El Jefecito, or The Little Chief. A full range of emotions permeated Mascherano's farewell ceremony in the 1899 Auditorium, adjacent to Camp Nou, where the players and coaching staff crowded into the first few rows, flanked by a panoply of Club directors, other officials, and local and international media. The former players Carles Puyol and EricAbidal, who Mascherano cited as among the torchbearers who showed him the way upon arriving from Liverpool in the summer of 2010, were there as well.